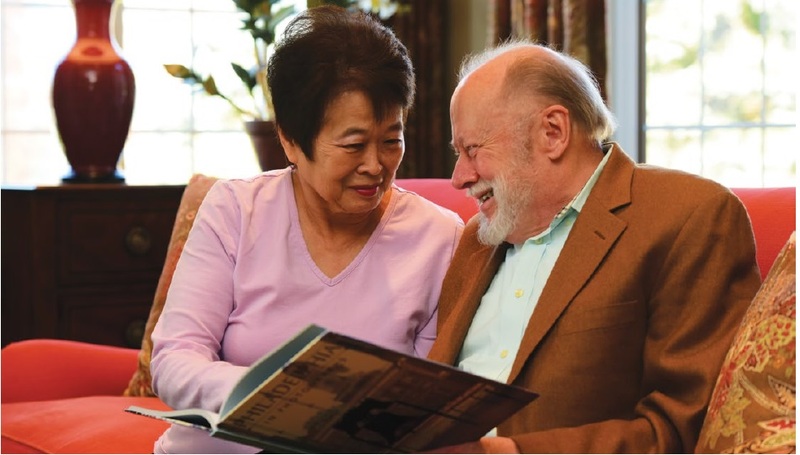 Previously from rural Connecticut, Margaret and George Peterssonmoved to Athertyn to be close to their son and his family, who live in Wynnewood. George, a chemistry research professor at Temple University, and Margaret, a happily retired psychotherapist, love the Athertyn community. Margaret: People here have thought about what they want out of this stage of life. They’ve planned carefully, considered the best setting and are committed to the lifestyle. Margaret: They always ask us, ‘What can I do for you?’ There is a sense of being genuinely cared for, which gives us great peace of mind. For that reason alone I’d recommend Pohlig.